On July 20, 2015, Sister Deborah Gaughan renewed her temporary vows at Our Lady of Angels Chapel in the presence of her Sisters, family and friends. Sister Deborah promised to live her life in poverty, chastity and obedience in accordance to the Constitutions of the Sisters of St. Francis of Mary Immaculate. The only difference between temporary and perpetual vows is that simple vows can be renewed until the Sister makes perpetual vows. Sister Deborah renewed her temporary vows for three years. During this time she will remain living with her community while continuing her Graduate studies at Aurora University where she is working toward a Master Degree in Social Work. 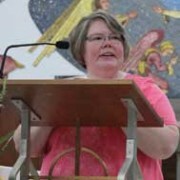 The Franciscan Federation honored Sister Marianne Saieg at the Annual Federation Conference on June 19-22 in Indianapolis. 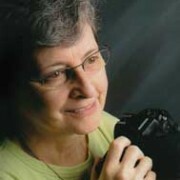 “Sister Marianne Saieg reflects the beauty and goodness of God through her artistic expression. 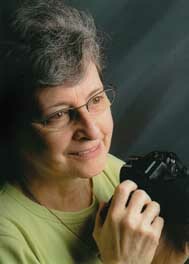 She sees and expresses Earth’s mystery and beauty in every medium in which she works: photography, writing, power point reflections, poetry, space design, or prayer/photo cards. Through her eyes God’s wonder is seen in all life and her pieces reflect the Franciscan spiritual life, integrating daily life and the Gospel. 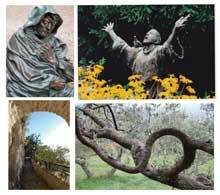 Assisi and the lives of Francis and Clare are highlights of her work. She uses light and color, shadow and space in ways that awaken the wonder in us. “Sister Marianne’s artistic gifts are shared with retreatants, directees, congregations, deacons and lay ministers, and parishes. 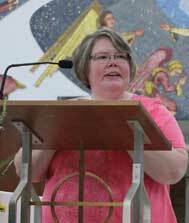 She has work published in the Spiritual Journal, Alive Now; Presence: An International Journal of Spiritual Direction; and in a Meditation book called, Seeding Your Soul: Six Considerations for Spiritual Growth. “The second criteria of bringing power to the poor and powerless through artistic expression comes alive in Sister Marianne as well. She has used photography to raise awareness of the poor and powerless in PowerPoint meditations, a brochure for the Care Fair with photos from the Jail ministry, and photo presentations, so that people with low vision can view photographs on their reading machines. On Sunday morning, June 21, 2015, our sister, Marilyn, was enfolded by the radiant beauty of sunlight filtering through the window of her bedroom window. The stormy night of teeming rain, rolling thunder and crackling lightening had given way to an atmosphere of peace and calm. Her breathing slowed as did the beating of her generous and kind heart. As she made her transition from this life to eternal life, her long-awaited and beloved angels seemed to have made their presence known. Safely and securely, they led her into paradise to abide in the Heart of God. Born to her parents, Pearl Zimmerman and Charles Franze, on July 17, 1932, Marilyn was a “Joliet girl” from the very beginning of her eighty-two years of life. Taking delight in being the younger sister of her older brother, Charles, she knew she had a lifelong friend whom she could count on. Yet, important as family was for her throughout her childhood, as an eighth grader at St. John Parish School, Marilyn began to think about her future. Inspired by the Joliet Franciscan Sisters who were her teachers, and encouraged in her Franciscan aspirations by Fr. Conan Mitchell, O.F.M. (1915-2009), Marilyn enrolled at St. Francis Academy, where she studied for three years before entering the Congregation as a postulant on September 4, 1950. She was received into the novitiate on August 12, 1951, and given her religious name, Sister M. Jacinta. Two years later, with a joyful heart, she made her first profession of vows and in 1956 she made her final profession as a Sister of St. Francis of Mary Immaculate.